My life from the heart of Berlin! A new project and lots of news! I was not posting anything last week, but that has its reasons! First of all I was struggling with my health the last weeks, I had a strong cough that I could not get rid of. The second reason are some changes regarding my work and my future plans. I need to change my job and more than that, to start a new apprenticeship later this year. I don’t know if I will succeed in getting the kind of apprenticeship that I’m actually looking for, but my wish is to leave this place one day and for that reason I need some extra education. So, to sum up everything what’s happening right now, there is nothing sure and clear at the moment and I don’t know how that will effect my blog. Making progress with my fashion design projects, it’s sad to imagine that I might need to make a break, but I definitely need money and time for my fashion ideas. For this week, I have for you a new project that I was able to finish so time ago. 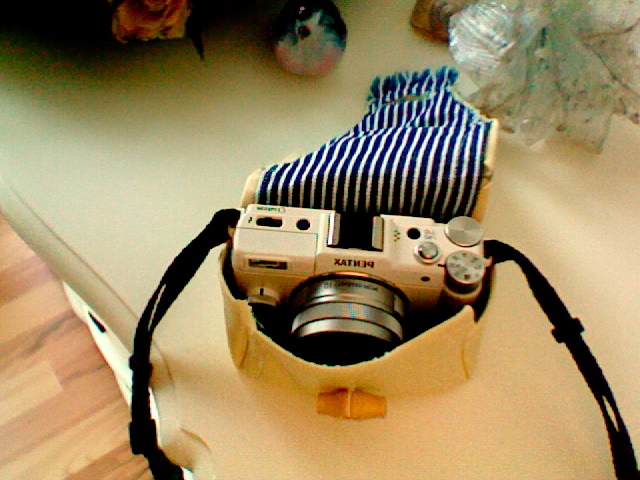 I used some leftover fabrics from other projects, including some denim and fake leather to create a cute photo camera case for the camera that I’m using for my blog. I apologize for the bad quality of some of my photographies in the post, but I had to use a different camera to show you the case with my camera in it. 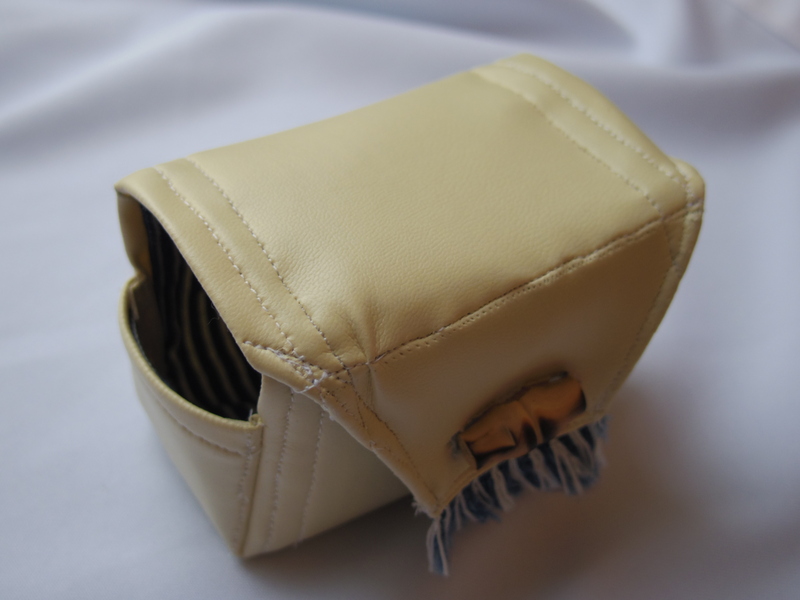 It’s not really a difficult project but the execution was still difficult since I was using fake leather fabric. 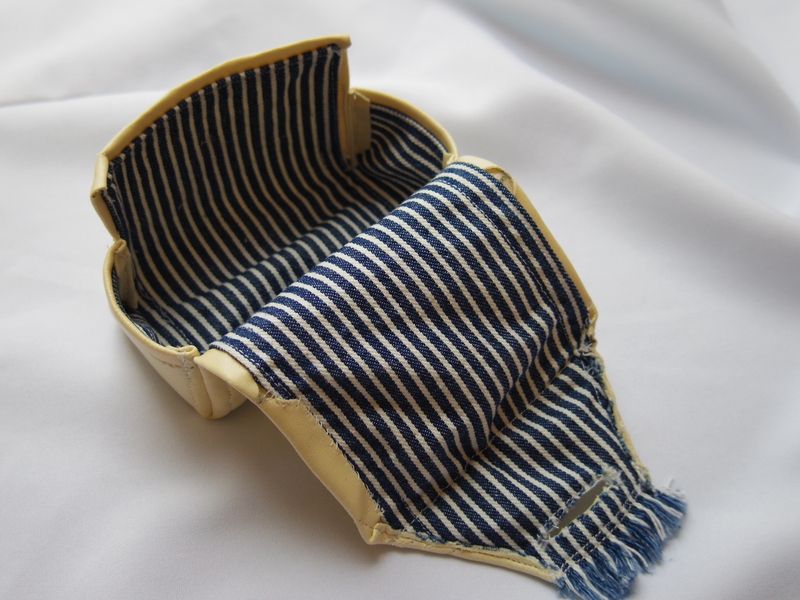 I started the project with measuring the size of my system camera and cut out the patern for the outside and the inside using denim and fake leather fabric. The denim fabric was fringed on one side so I use the fringed side as some decorative element. 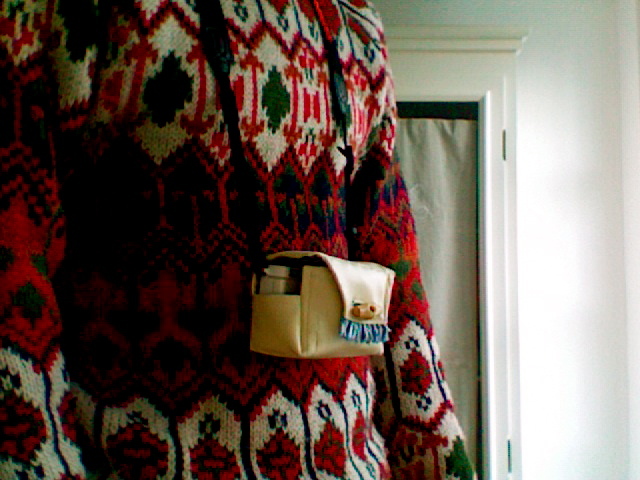 I know the outcome is not excellent but I’m ok with it considering that it was the first time for me making such a small camera case. 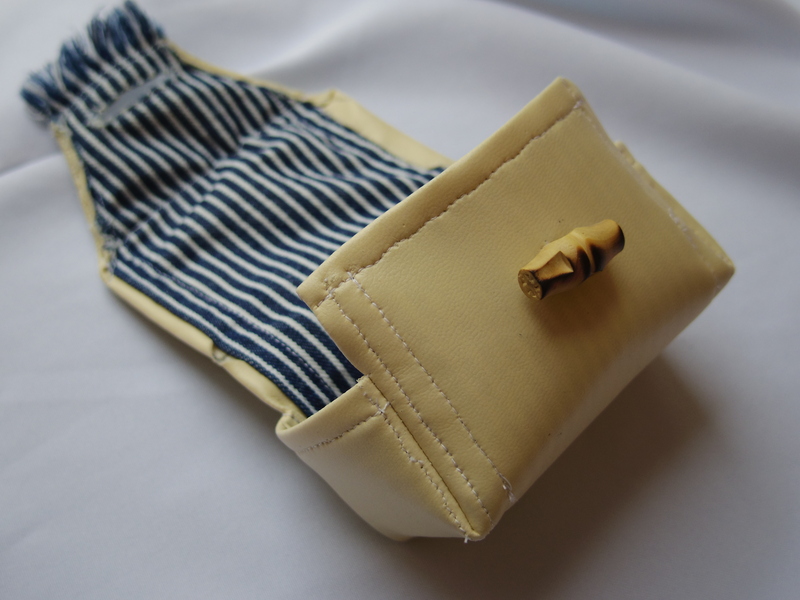 As you can see I added the wooden button on the front. 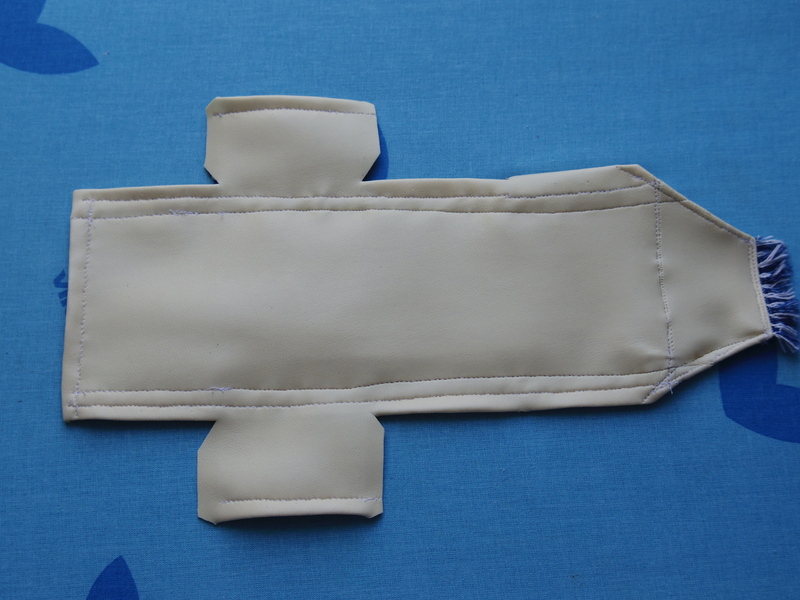 I like the overall look of it and I hope to be able to practice on making more stuff out of leather-kind materials. See you next week! What a cool idea. Very creative! Much luck for your apprenticeship and future plans! 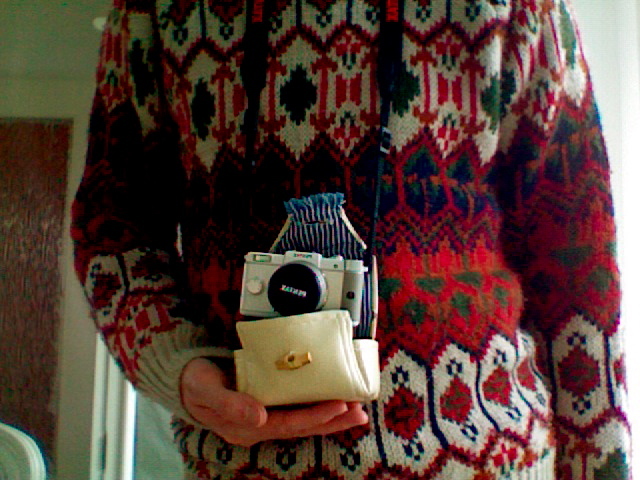 The camera case is lovely work andI do love the jumper that you are showing too. I wish you the absolute best of luck in your future endeavors! Breathing room for all my stories. ..for it is by self-forgetting that one finds.. Lifting the curtain between here and there.